HAPPY NEW YEAR EVERYONE from the Team Binary Legends! With this let me drop a small announcement, we are indeed working on a short sideproject/demo/christmasgame/demo2.0 thing. We created lots of animations, characters, backgrounds and music that we can use for the full game, so when this little game is release you know what quality to expect from a full 7 Cities of Gold game. Tremulas said 10th of January will be the release. I say, this is the aimed release date and won't settle on any date with the small game initally planned as a christmas game in 2018. I just hope we keep our steam and release something this month... HAPPY 2019, get busy! The whole point is that this design is responsive. March is now here, which means that Spring is just around the corner, but there is still time to enjoy winter weather Indy style! Just to let everyone know, we're not dead! 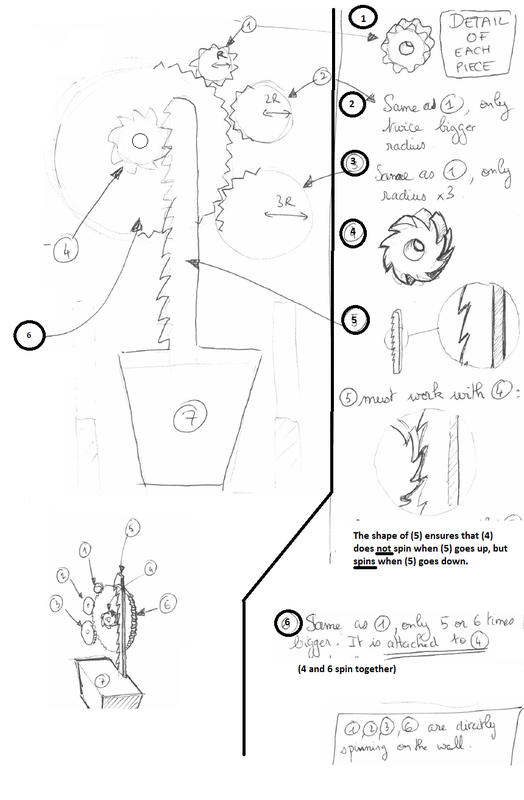 We have a lot of behind the scenes stuff going on - several people are offering their creative skills by designing some cool animations for the game - and we'll showcase some of those soon! Also, in other news, I got Joe Mastroianni to "shamelessly plug" our game on his Podcast - the Upper Memory Block Podcast. Uh oh, what is this thing? Have a happy and adventurous 2015! 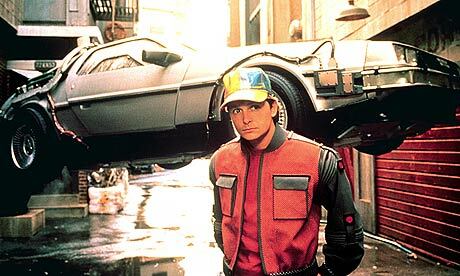 Since it's 2015, I'm expecting flying cars, hover boards, and clean nuclear fusion that runs on garbage to appear any moment now! To all our US fans - Happy Thanksgiving! Remember to be thankful and watch out for Nazis trying to steal your turkey and stuffing! Binary Legends is proud to present the Italian translation of the Barnett College demo. A very special thanks to Giocherellone for the translation work! Keep in mind that the Barnett demo was originally released in 2010, so it does not reflect the current art / animation style of the game. However, we hope that you will still enjoy the demo! AGS 3.2.1 seems to have been around forever, and has been the one and only AGS for a whole generation of game creators. But AGS 3.3.0 will be the first open-source version, released by the AGS community (as opposed to just its original creator Chris Jones). There are several new features that will make development more convenient. We tried 3.3.0 's beta versions in the past, but they were too young. Now, the release candidate is finally ready! Therefore, say hello to AGS 3.3.0, and get ready for more Indy treats. Even our team members have their secret life. We're staying under the radar, but we work actively. At the moment we're getting promising results with an extensive debug interface, that will save us a LOT of work in the final stages of development. Happy Thanksgiving from the Binary Legends team! Be thankful and eat lots of turkey, before Nazis eat it first! Bit by bit, here comes the hit! Yes, we're still moving forward. Newsflash - June 6, 2013 - The Summer of Indy! Summer time is here and we're making progress on the game! If you're interested in helping out with the game and becoming a team member, then contact me. Have a happy and adventurous 2013! Merry Christmas from Binary Legends! Have a happy and adventurous Christmas! Sorry everyone for a lack of updates lately... But most of the project members have been busy with the real world. But don't worry folks, the project is not dead. It's summer and the weather is hot, but behind the scenes, the Binary Legends team is at work on the next section of the game. That's right, due to some new members joining the team, progress is once again being made! Due to a problem with our old hosting, we had to move the website to a different host. We're still on the look out for an artist for the team - so if you are interested - or know of a forum where potential artists might be at - then contact us. In addition to the German and Italian translations of the demo that are currently in production - a Spanish translation has also been started. If you are interested in helping beta-test or proofread these translations then please contact me. German and Italian translations of the demo are currently in production. We need someone to help with graphically editing the GUI buttons, and things like that for the Italian translation. I already have a list of the Italian equivalents of the English words given to me by the Italian translator. So you don't even have to know Italian to do it - just be willing to help. If anybody wants to help beta-test or proofread these translations or wants to help make a translation into another language - let me know. Happy New Year from Binary Legends! May 2012 be a good and adventurous year. Merry Christmas from the Binary Legends Team! Merry Christmas everyone from the Binary Legends team! We're still on the look out for an artist for the team. If you are interested in helping us out - then please contact me. Also keep an eye out for the German translation of the demo - which should be out within a month or so! If you are interested in helping beta test the German demo - then contact me. The epic search for an artist still continues! If you are interested in helping do artwork for the game then contact me! The epic search for an artist continues! If you are interested in helping do artwork for the game then contact me! A Binary Legends Retro Release for the Commodore 64! This is a compilation of two text adventure games. Join Sammy Marlo, Private Eye as he searches for stolen paintings in the Museum Caper and goes on the trail of a missing scientist in Dial M for Marlo. These two games were created with the Questwriter text adventure creator. Full instructions on how to play the games are included on the disk. Also In case you get stuck while playing the games, full solutions are also included. 2). Use a joystick in Port 2. 3). Use the cursor keys to move and use the space or return keys to click. The version of Questreader on the disk has been patched to enable it run from any drive - so the Marlo Files will run from any Commodore drive number. This is a free-ware release. 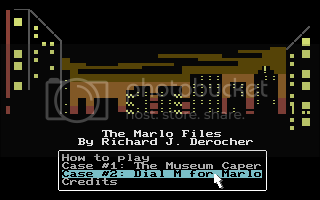 In order to play the Marlo Files, you will need a C64 emulator. I recommend VICE. We're still on the lookout for an artist for the Seven Cities of Gold project. If you are interested in helping out, then please get in contact with us. An artist is still desperately needed for the team! If you are interested in helping, then let me know. Also a proofreader for the German translation of the demo is needed as well. Happy 4th of July everyone from Binary Legends! Well, it's been pretty quiet lately, but the project isn't dead, folks! Behind the scenes, the team is preparing to work on the next section of the game. So stay tuned for future developments! Also watch for the German translation of the Demo coming out eventually! As always, if you want to help out in anyway with the project - contact me. Binary Legends is still on the look-out for artists to join our team. Right now, we need new art work to continue working on the project - so if you're a good artist, we need your help! We need new artwork - backgrounds and sprites - to continue development with the project. If you are a good artist and can do artwork in the classic LucasArts style then we need your help! If you are interested in contributing as an artist to the Indiana Jones and the Seven Cities of Gold project - contact me. -Instead of fighting Nazis, Indy will be battling fanatical members of the Monkey Cult. -Indy encounters his evil twin - Montana Jones. -Indy gets hit on the head and then has delusions of being Harry S. Truman. Marcus must find a rare plant in the jungles of Africa in order to make a cure for Indy. -Instead of searching for the Seven Cities of Gold, Indy will be searching for the Lost Valley of Socks, the mystical valley where all your missing socks mysteriously end up. Although it has been out for a few days now, I thought I'd just make an official announcement regarding the source code: ALL the code used in the Indiana Jones and the Seven Cities of Gold Demo, as well most of the source files, have been released to the public, free to work with. As long as you work under the Creative Commons license associated with it, you are free to do what you want with the code..
Hopefully this will encourage more people to try Adventure Game Studio, and help keep this genre alive! 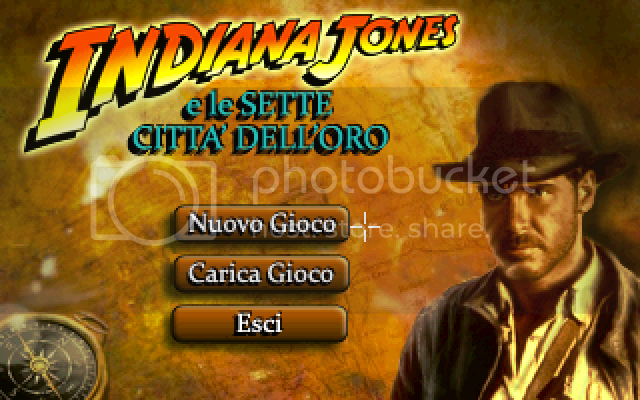 Look for the link to it under the header "Indiana Jones and the Seven Cities of Gold - Demo V1.2.1.1 - Source". 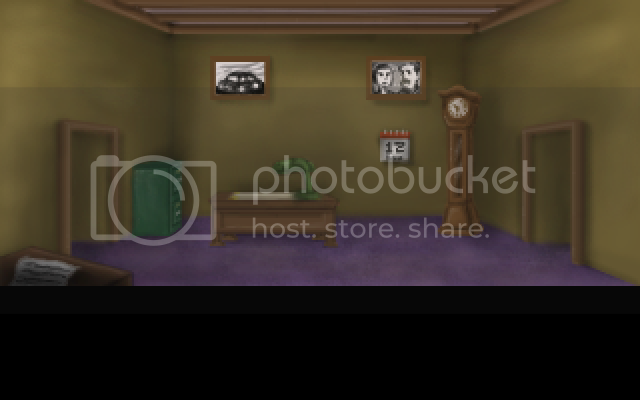 If you can do sprites or backgrounds in the classic LucasArts style and want to help out with the coolest fan project around, then contact us! Development is currently under way for the New York City section of the game - lots of cool puzzles, and plenty of action are planned for the section. The Demo is released and waiting for you to play it and give feedback! The demo is getting VERY close to release. The art-work for the demo is being re-worked. This will delay the release of the demo slightly, but will result in a better looking demo. I would like to announce to all who are interested that the demo is coming very near to completion. In the future, other parts will take much less time than this one, but since this is our first and we've spent a lot of time tinkering with making a good interface and laying the basic game mechanics, it has taken us a bit longer than we would've liked. But I want to assure everyone that the game IS being worked on, and the demo is about 90% (or more) done. I'm not going to promise a specific release date, but I will say that it will without any doubt be done before the end of this year. Additional release information may be given when we agree it is suitable to do so. The demo is still under production. suffice to say, progress is coming along quite well and we are getting very close to a release. I won't say an official date, since I don't know myself and I don't want to falsely create hype. But it is nearing the final stages (more or less)! Beta testing on the Barnett Section is coming along well. Currently the Binary Legends team is working on beta-testing and getting the demo ready for release. The demo will showcase the Barnett College section of the game. 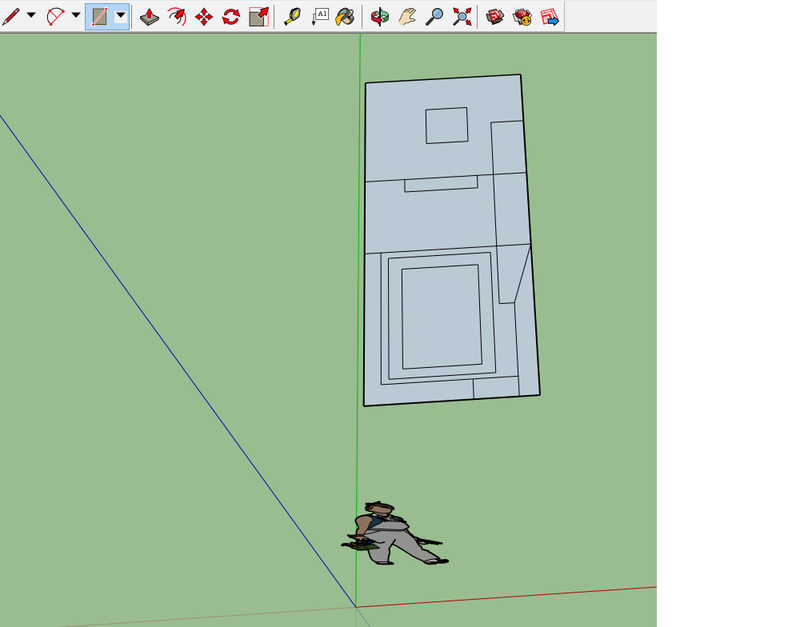 The project's sprite artist does not have enough free time anymore to continue working on the project. So we need a new sprite artist(s) for the team. If you are good at drawing character sprites, please contact me - Ricky Derocher - by either emailing me (sammymarlo@yahoo.com) or by contacting me on this forum. The Barnett section of the game is nearing completion! After it's completed, and beta-tested, it will be modified into the first demo for Indiana Jones and the Seven Cities of Gold. Here's the cool looking menu screen drawn by Tolga Ocek. The forum has a cool new look thanks to Selmiak. Also the coding on the Barnett Section is coming along well. Coding on the Barnett Section of the game has begun! The Barnett Section is coming along well. Coding will begin soon! Happy Birthday Seven Cities of Gold! Happy Birthday Seven Cities of Gold! Today the project is now officially one year old. I started the project on April 6, 2009. When I started I was working on the project alone until December of 2009 when I started getting team members to help me on the project. Now the project has a great and talented team, and the project is coming along at a very good rate. Thanks to all on the Binary Legends team for their help on the game so far. I just received a call from George Lucas. He said that he wants to use our Seven Cities of Gold idea for the 5th Indy movie. He says that he doesn't want to shut down our fan project though, rather he will loan the rights from us for $900 million dollars. He also said that he is going to appoint the whole staff of LucasArts to help with the Indiana Jones and Seven Cities of Gold project. He also said that he talked with Harrison Ford, and that Ford is willing to do the voice of Indy in our game. Oh, by the way... APRIL FOOLS! 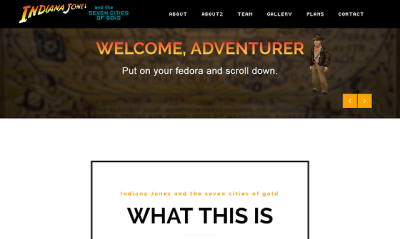 Here are some FAQs about Indiana Jones and the Seven Cities of Gold. Some I have been asked already and some are potential questions that are likely to be asked. When will the game be released? Is there a release date set? There is no release date set. Due to the nature of fan-made games, I don't believe that it is practical to set a release date. So I can only say that the game will be released when it is finished. Will there be a demo released for the game anytime soon? Yes, there will be. As of the writing of this, the Barnett College section of the game is in development. When this section is finished, it will be released as an interactive demo. Also a non-interactive rolling-demo featuring some of the game's artwork, animation, and music may be released eventually. What platform(s) will the game be available for? The game will be for Windows PCs. What will be the system requirements required to play the game? What development tool / game engine is being used to make the game? The game is being made with Adventure Game Studio (AGS). How will this game be distributed? When the game is finished, it will be available for free-download from the Binary Legends website. What style interface will be used in the game? 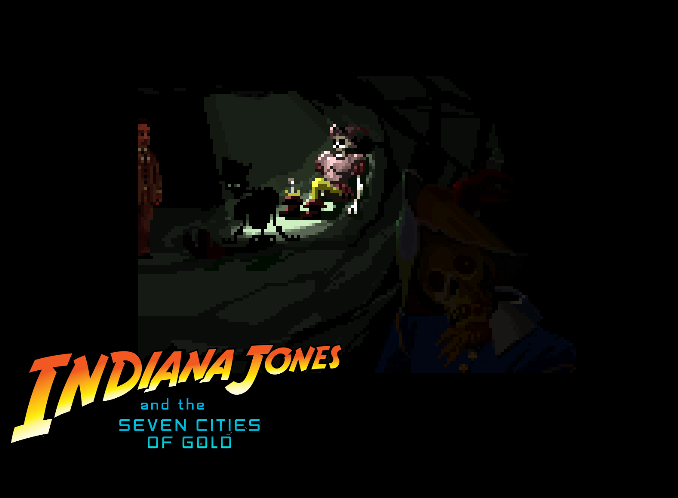 The game will have an interface styled after the LucasArt's SCUMM engine used in games like Monkey Island and Indiana Jones and the Fate of Atlantis. When will the game be set? It is set in 1940, one year after the events in Fate of Atlantis. Will there be a fist fighting sequence in the game like in Last Crusade and Fate of Atlantis? Yes, a fist fighting sequence is planned. Will the game have an IQ point system like in Last Crusade and Fate of Atlantis? Yes, an IQ point system is planned. Will there be set paths through the game (Fists, Team, Wits) like in Fate of Atlantis? No. Seven Cities is going to be more like the Last Crusade Adventure. You will be able to choose at certain points if you want to use an action method or a wits method. IE - There is a Nazi guard that Indy has to get past. So the player can choose to: Punch out the guard - (Action), or find a way to sneak past him - (Wits). While there won't be major set paths through the game, there will be some branch off points depending on what action the player takes in certain spots. Will there be voice acting in the game? Voice acting is definitely a possibility. If the sun is on fire how come there is no smoke? I'm a good ________. Can I help work on the game? Yes. Please contact me (doctorfargo) and tell me what you would like to do. Please send me a sample of your work as well. The news are now not only shown in the forum but also on the homepage. But you already knew that didn't you? Since you're on the site now. Thanks to Selmiak for designing the website.